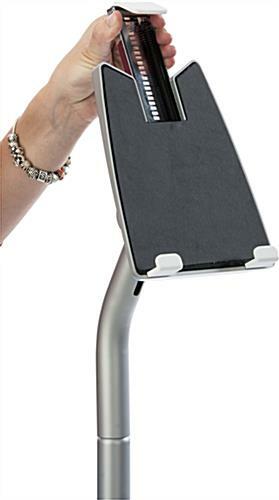 This universal tablet holder for desktop with silver finish enables landscape and portrait viewing and mounts all types of smart devices. 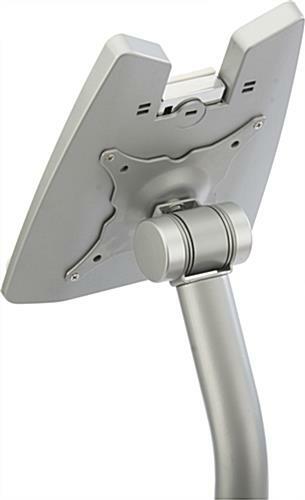 This adjustable enclosure for iPads and Androids features a bracket that reaches heights from 6" to 10" to fit most touchscreen models. 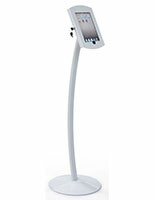 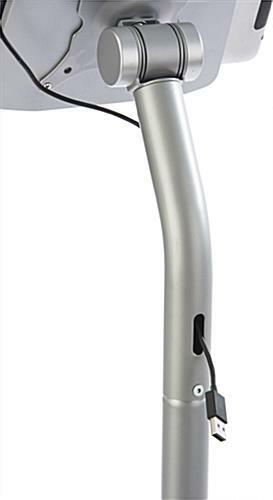 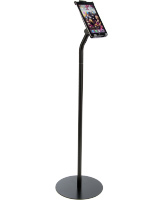 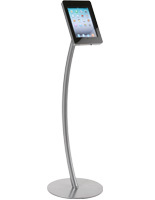 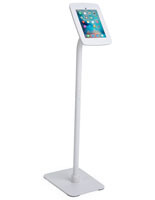 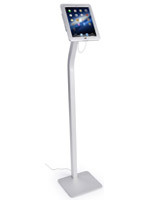 This floor standing tablet holder for desktop, also known as a smart technology kiosk, has an exposed "home" button. 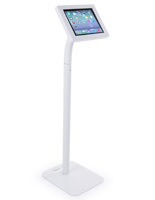 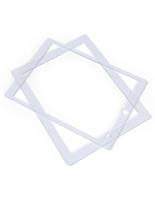 This touchscreen display comes with an optional locking kit for commercial use to prevent theft of the device. 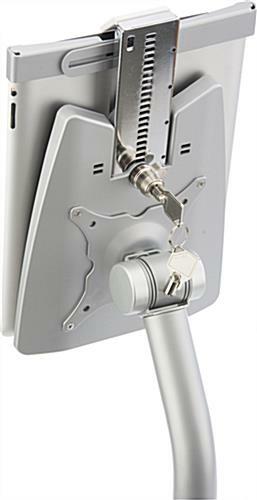 This tablet holder for desktop mount includes a cable management system to keep the area free of unsightly wires and cords.